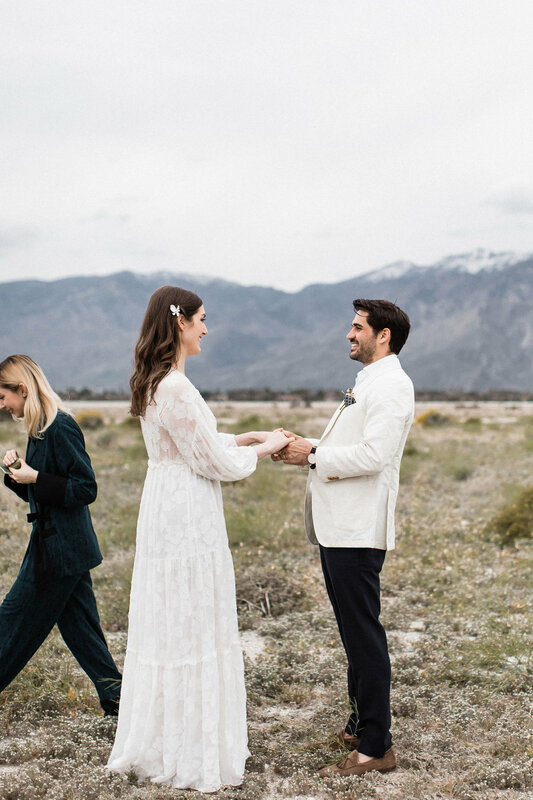 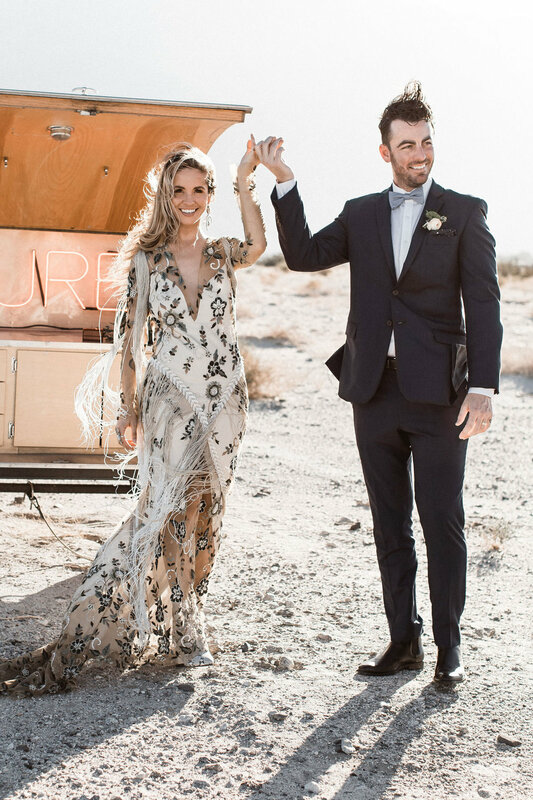 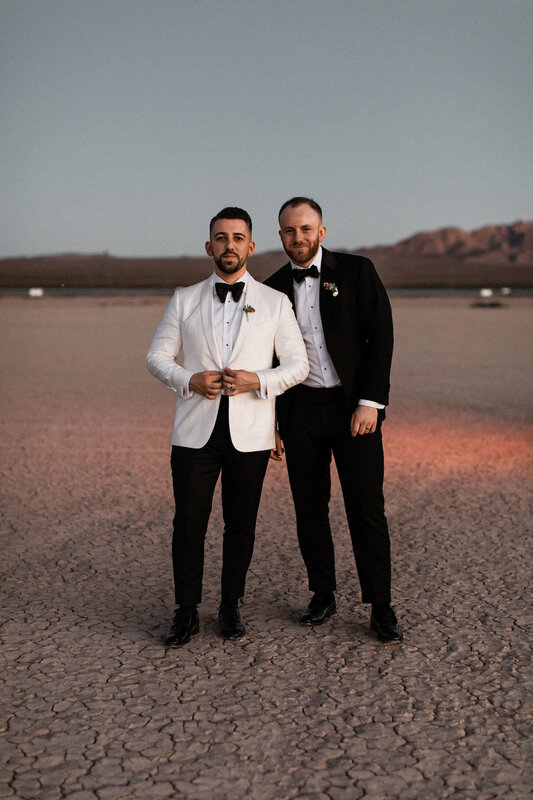 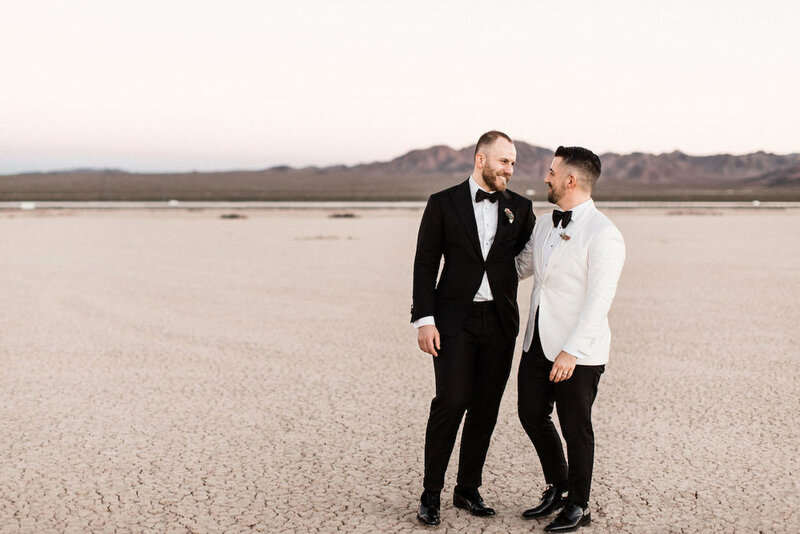 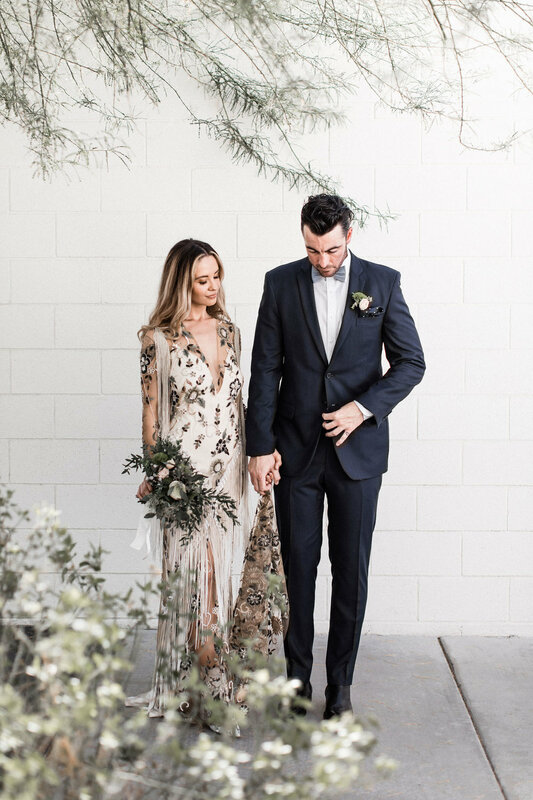 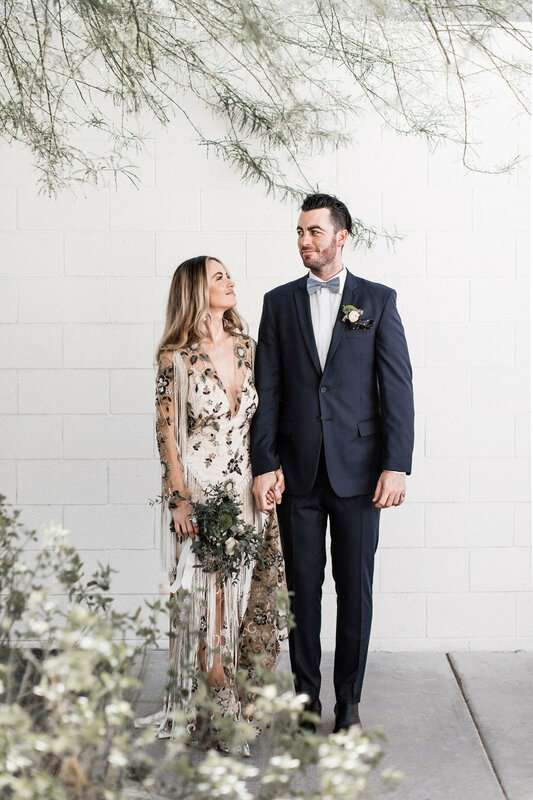 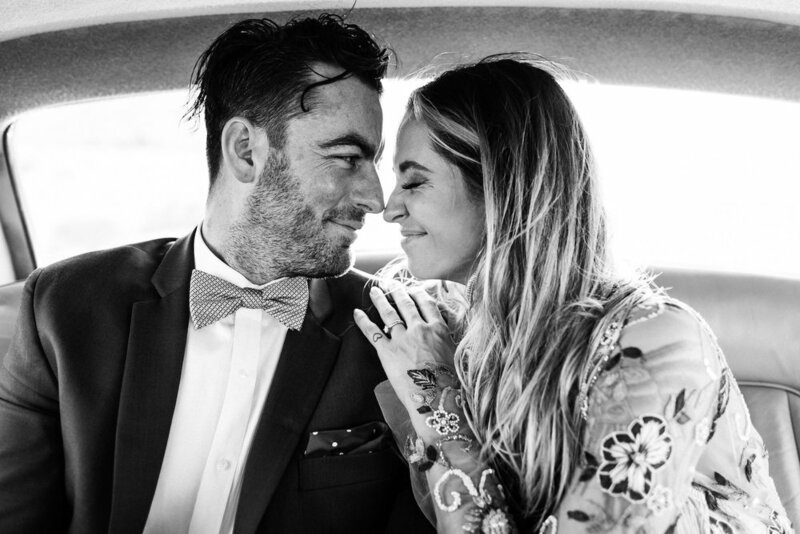 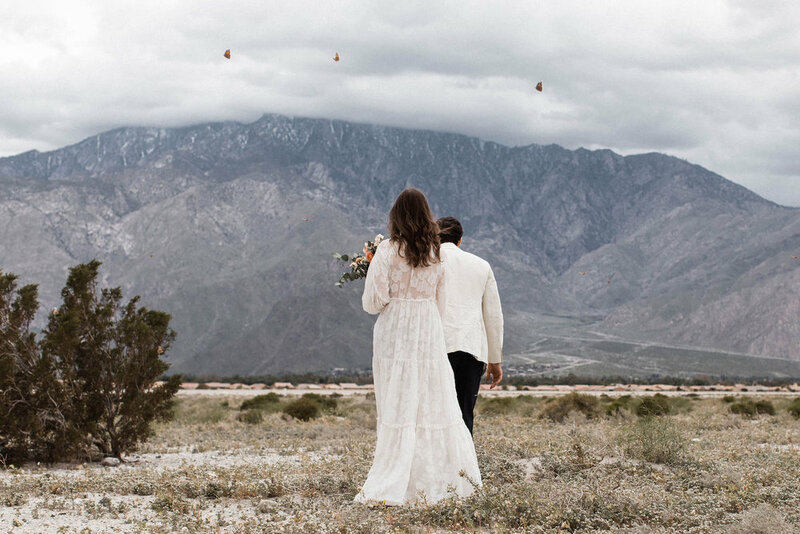 These sweeties and their close friends travelled from all over the US for this Palm Springs ceremony filled with butterflies! 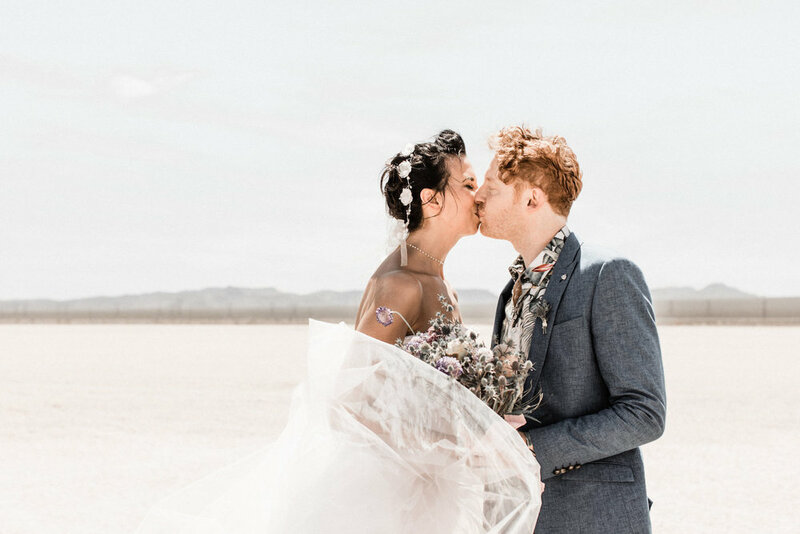 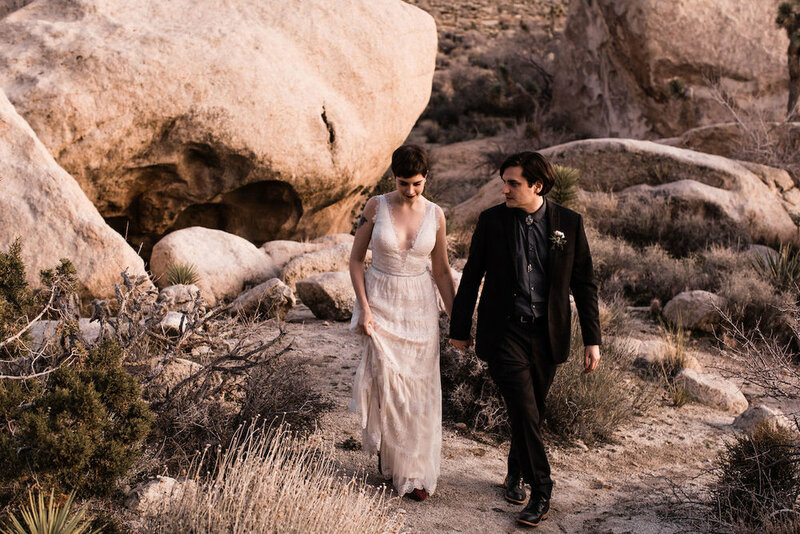 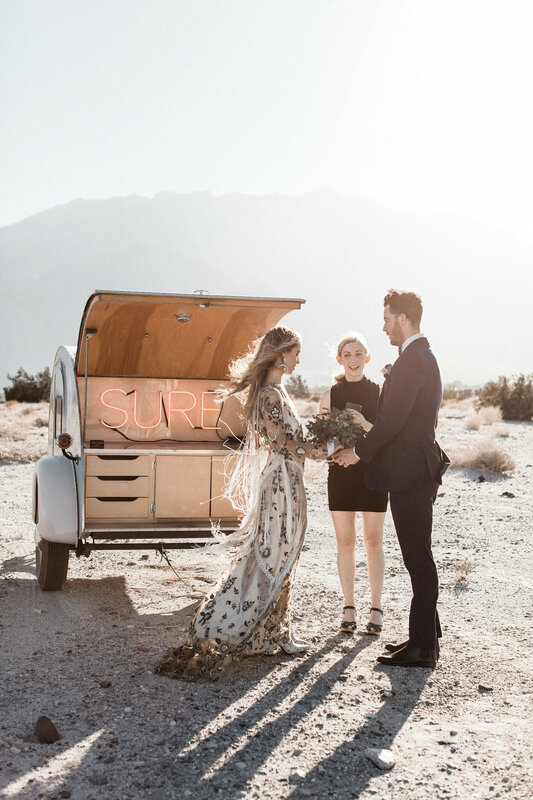 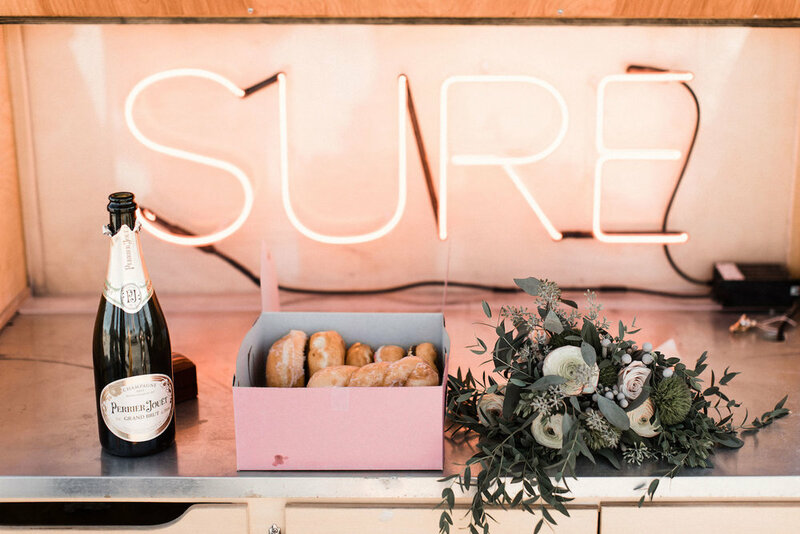 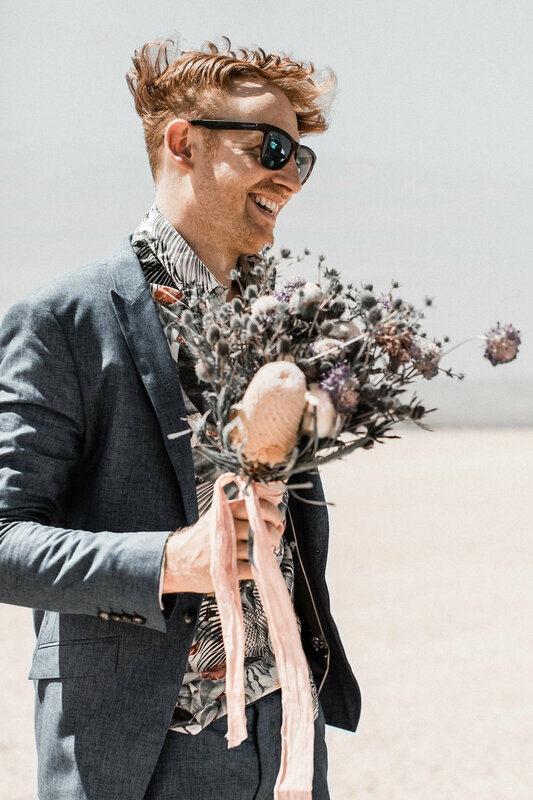 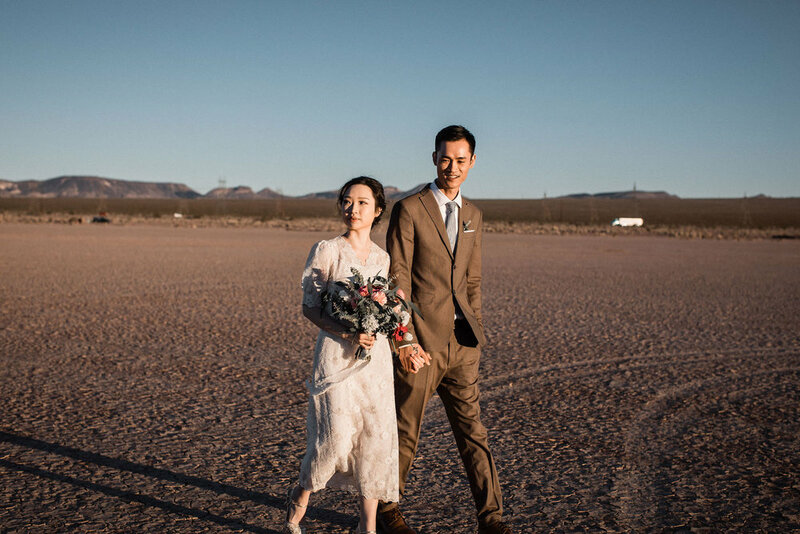 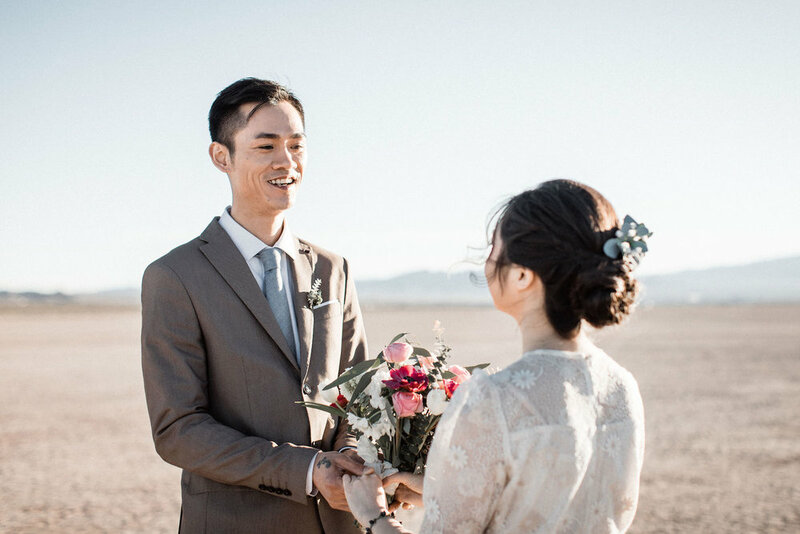 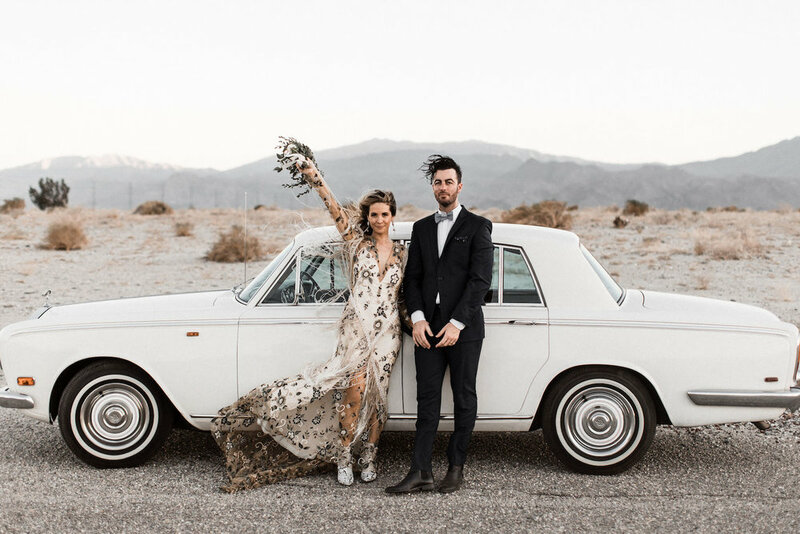 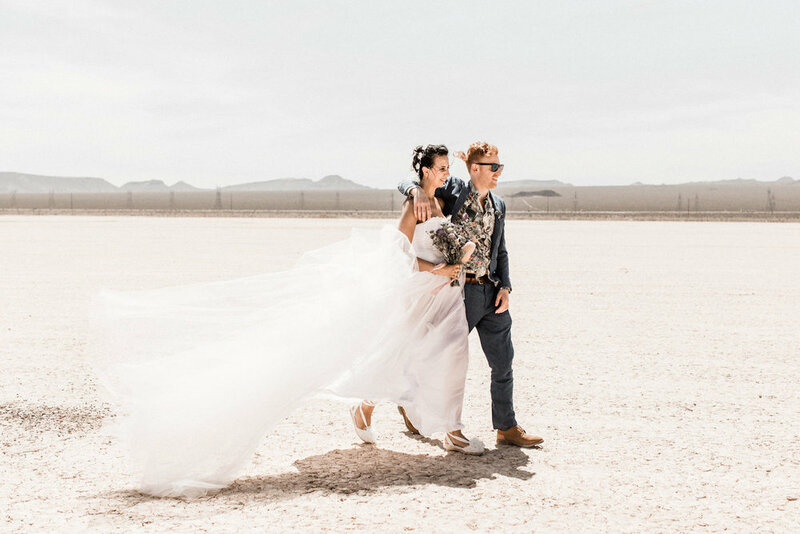 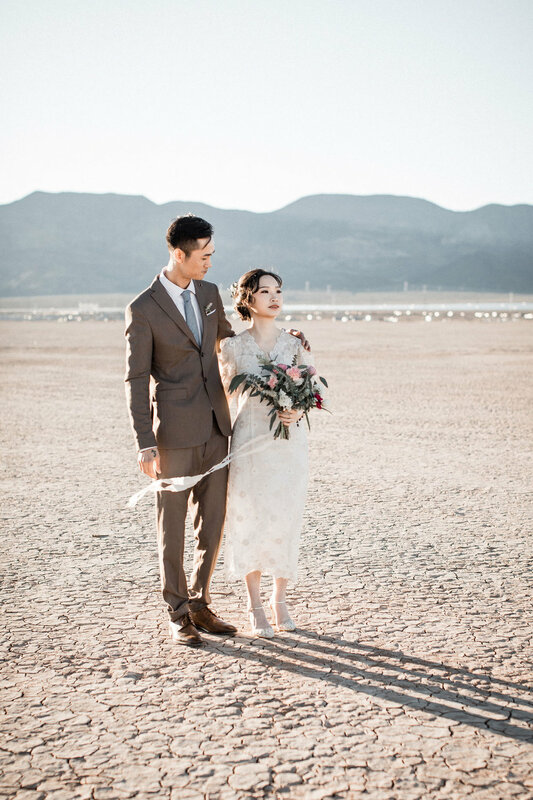 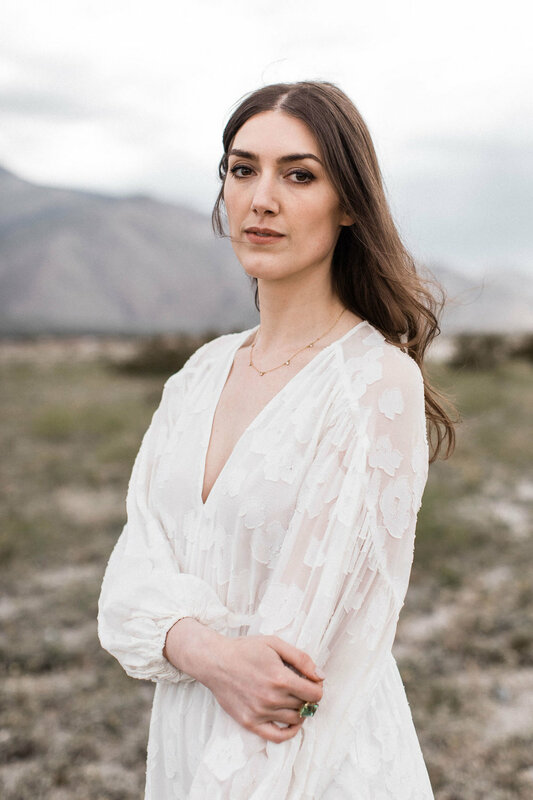 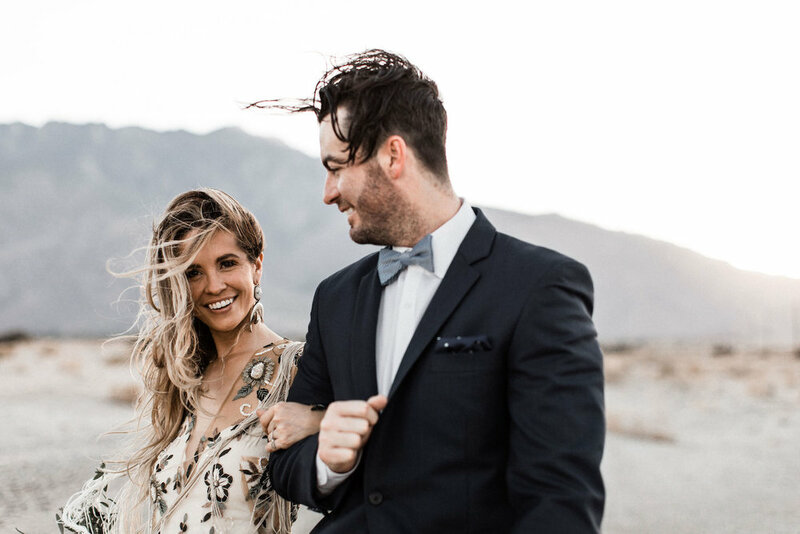 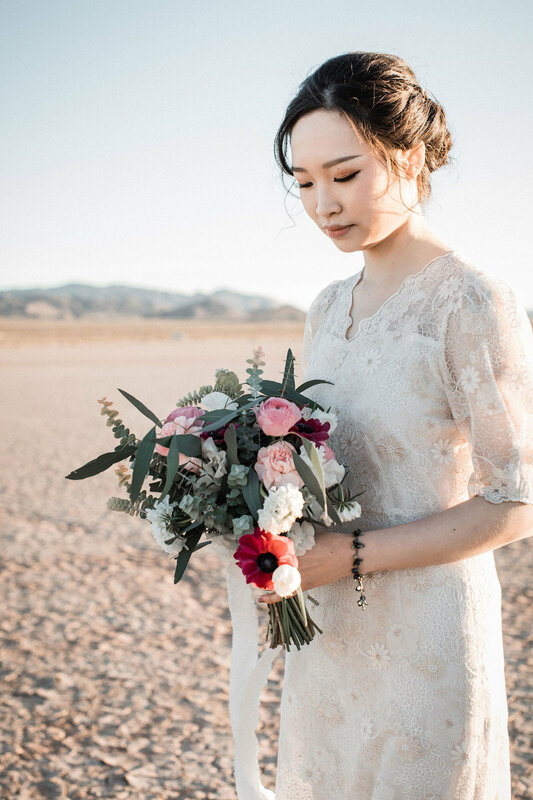 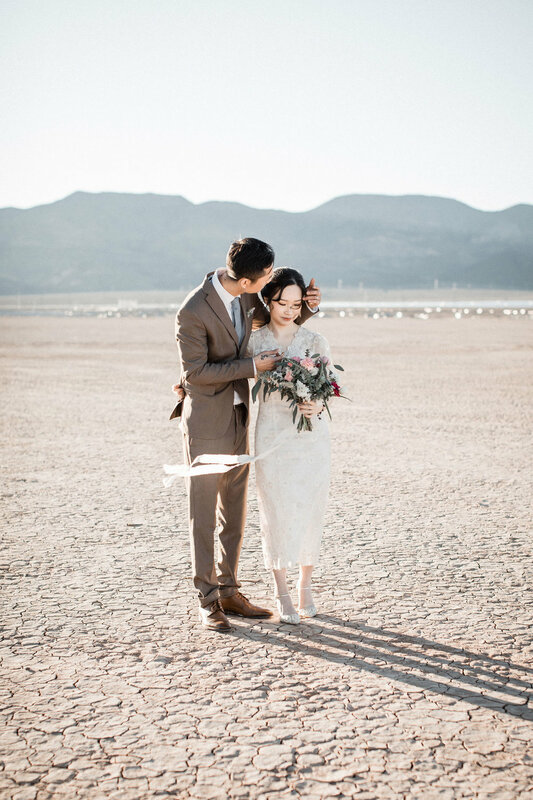 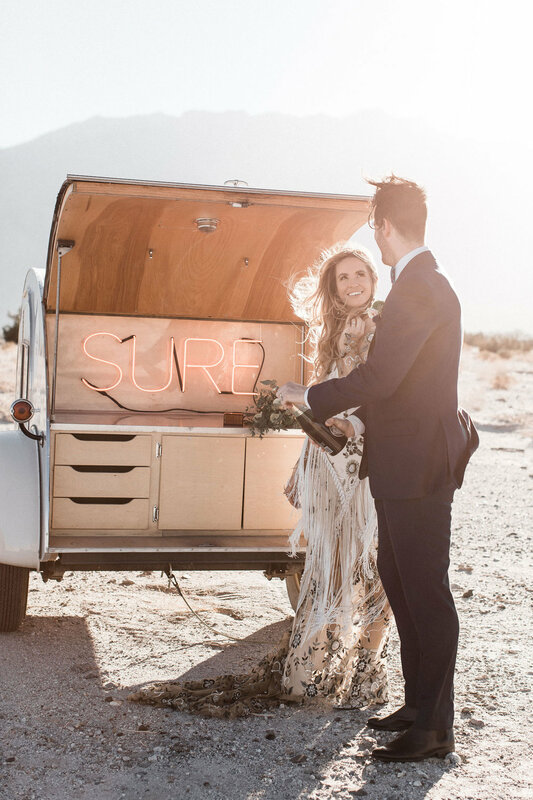 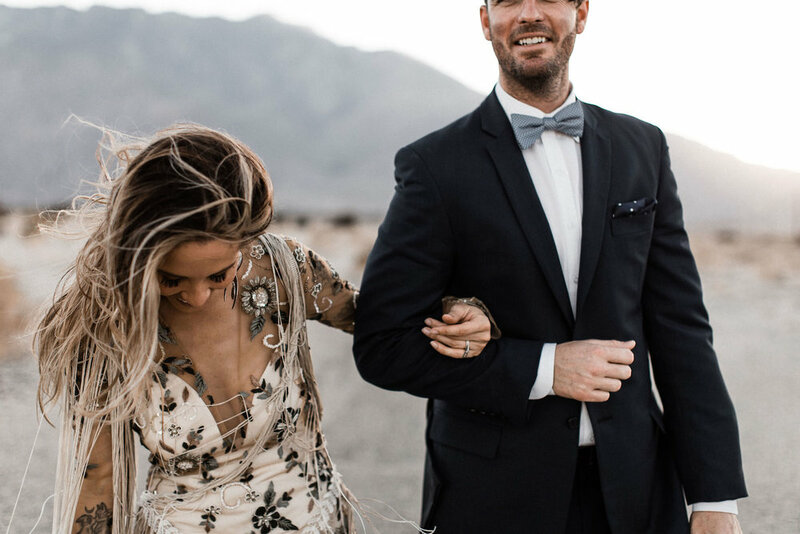 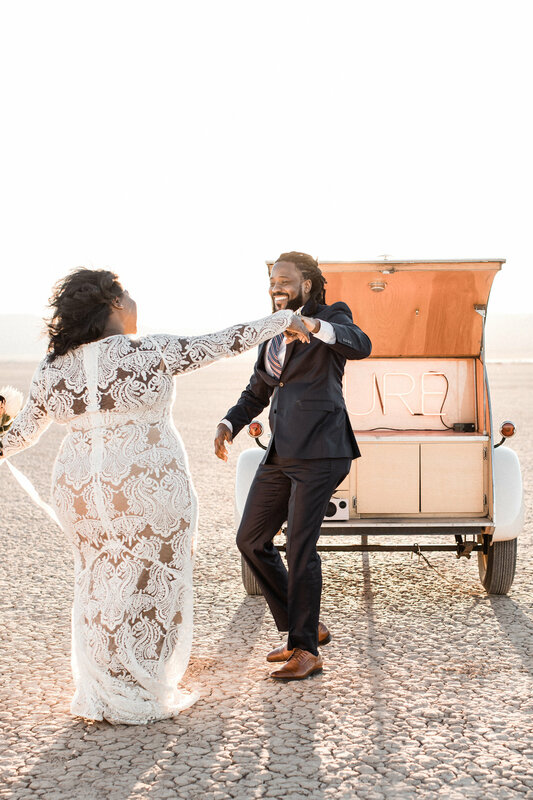 The sweetest desert elopement with Flora Pop! 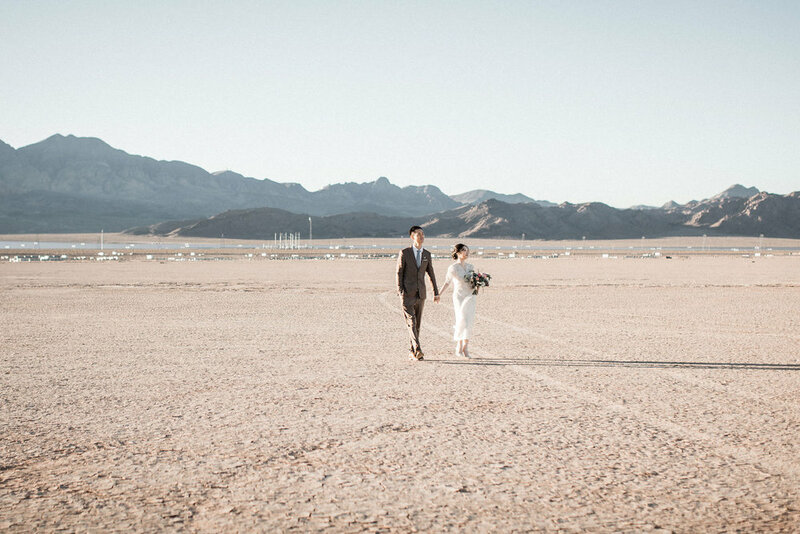 A hot & sunny morning in the desert never looked so good! 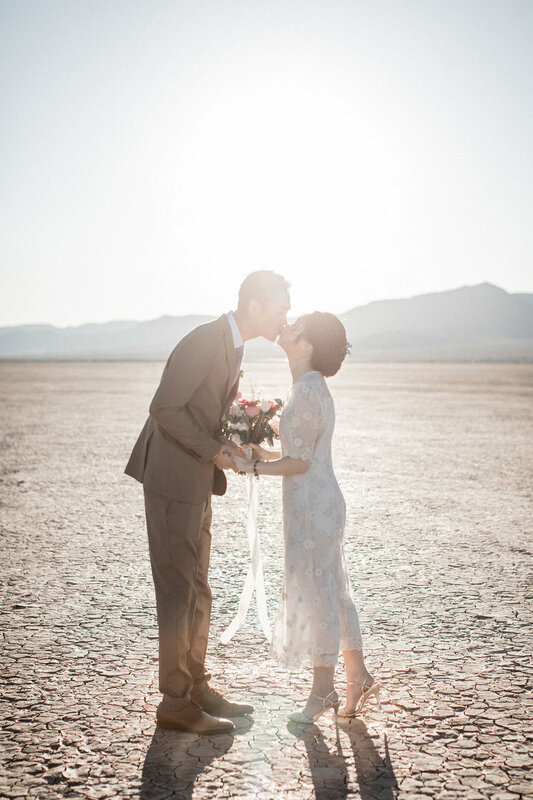 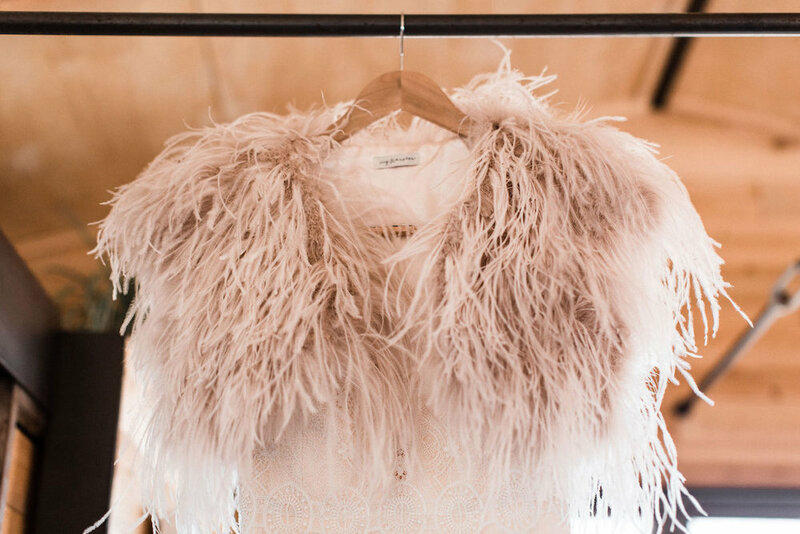 I think the thing that stands out most about this wedding is the bride's dress was her mother's! 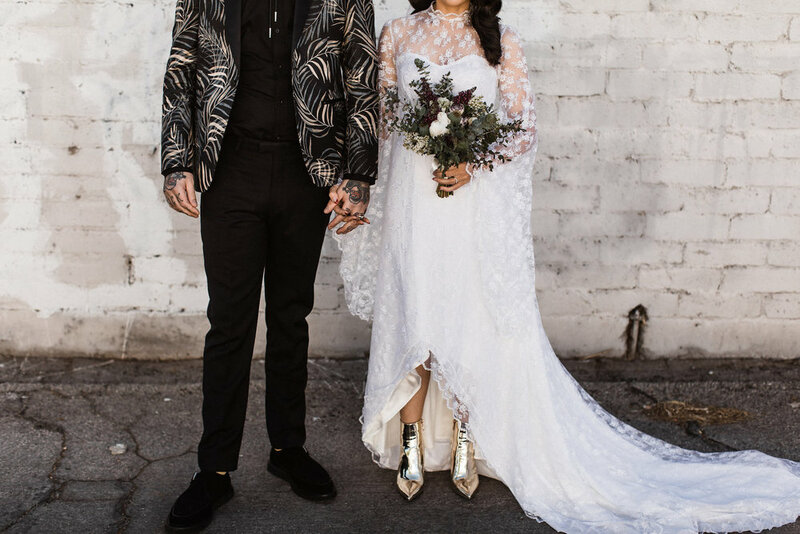 I already wrote about this in my Instagram post, but I just can't get over it. 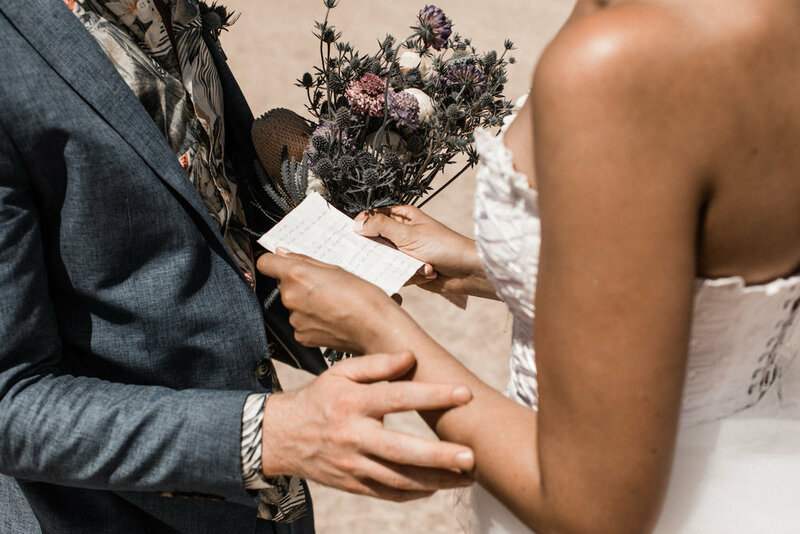 My mom's wedding dress had shoulder pads, YES SHOULDER PADS. 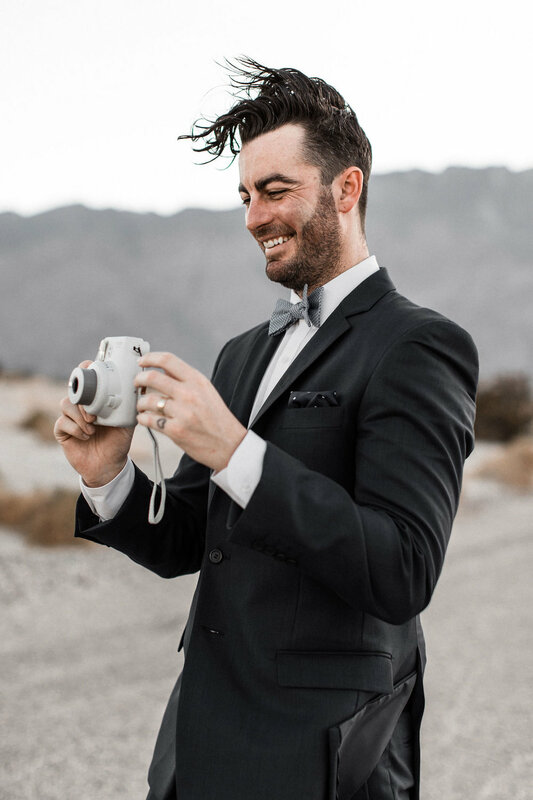 I know that was the style which is why this is so miraculous to me haha! 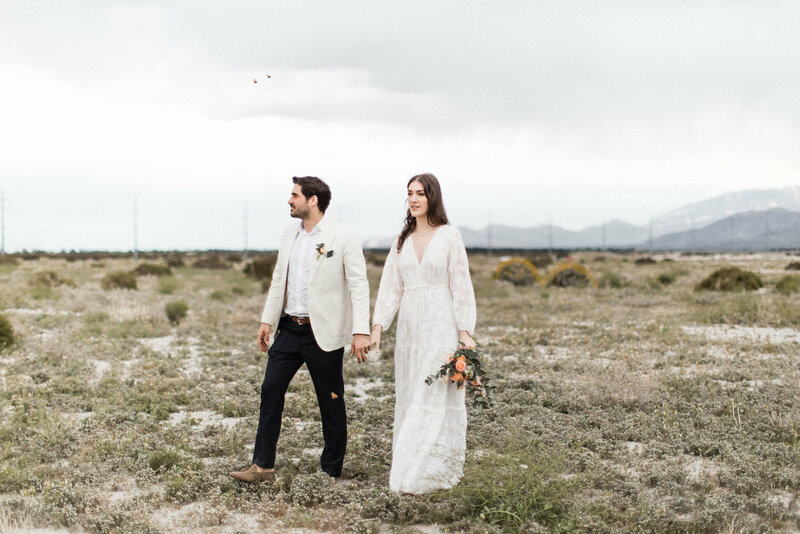 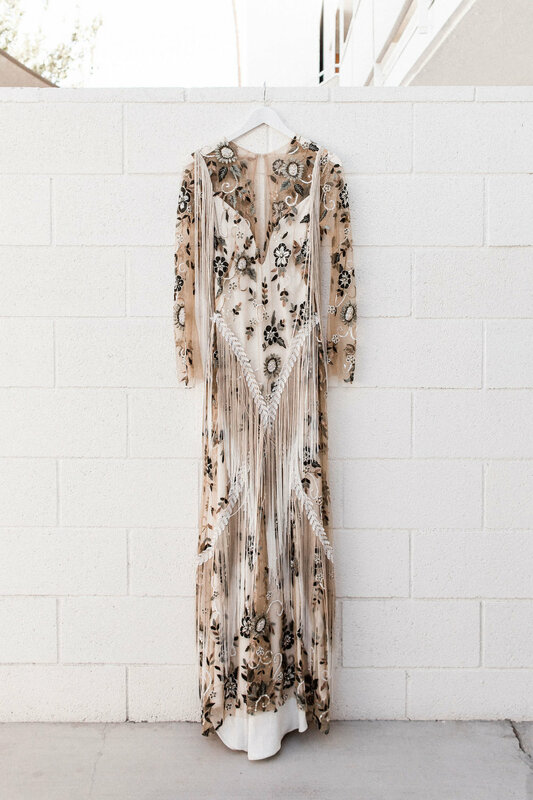 This one has bell sleeves and is perfect in every single way. 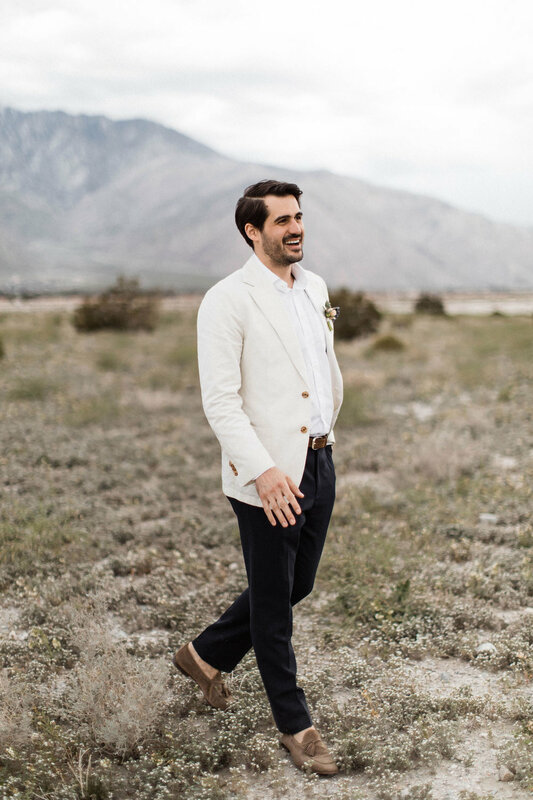 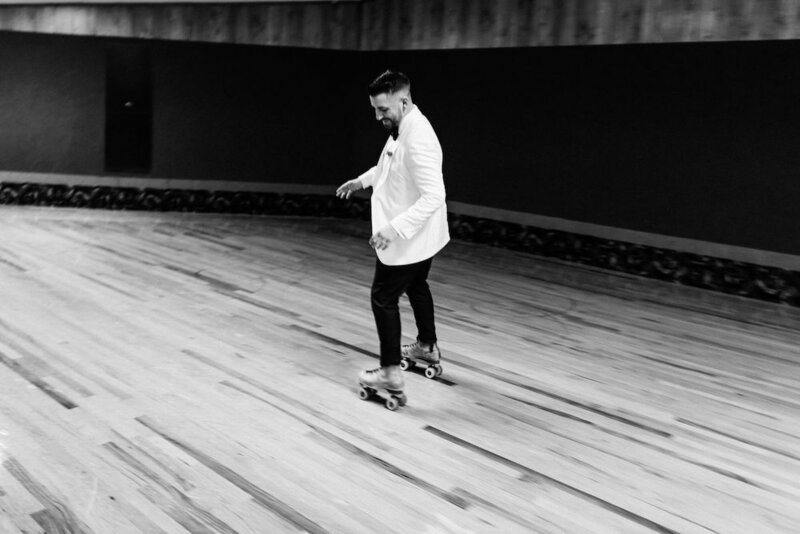 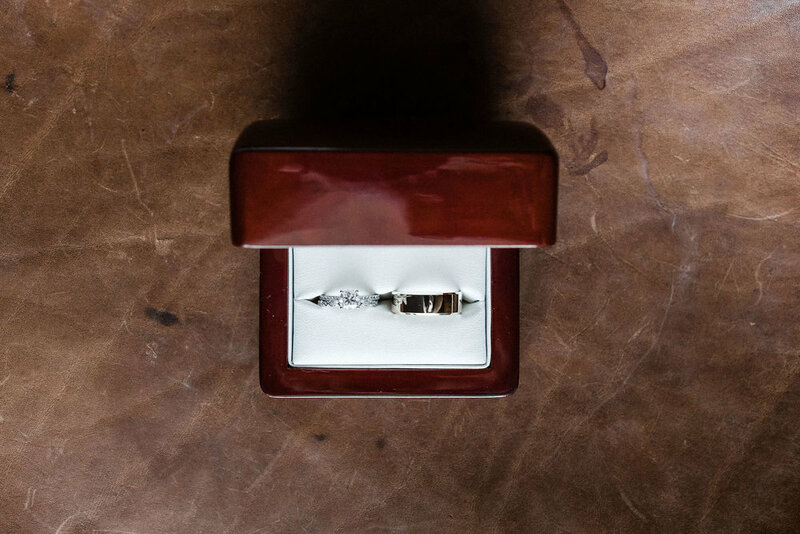 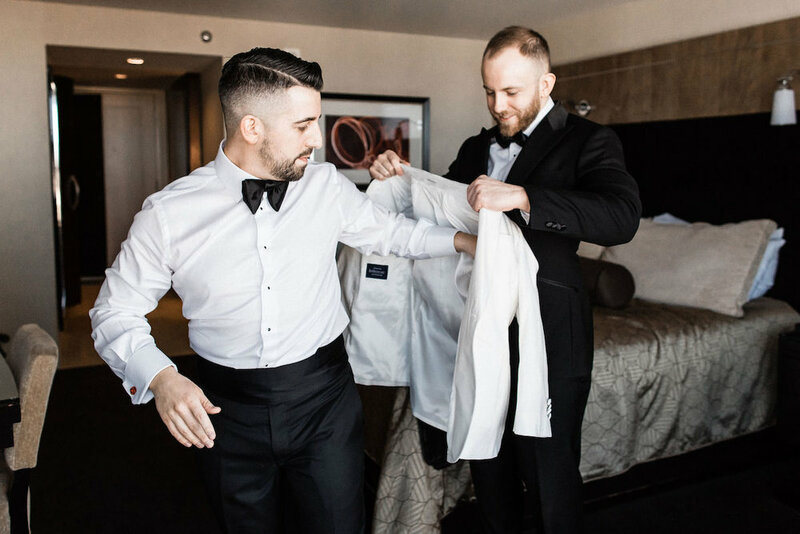 The groom's details were fantastic too, from his gold sparkly socks to his jacket and finished with that scorpion bolo tie. 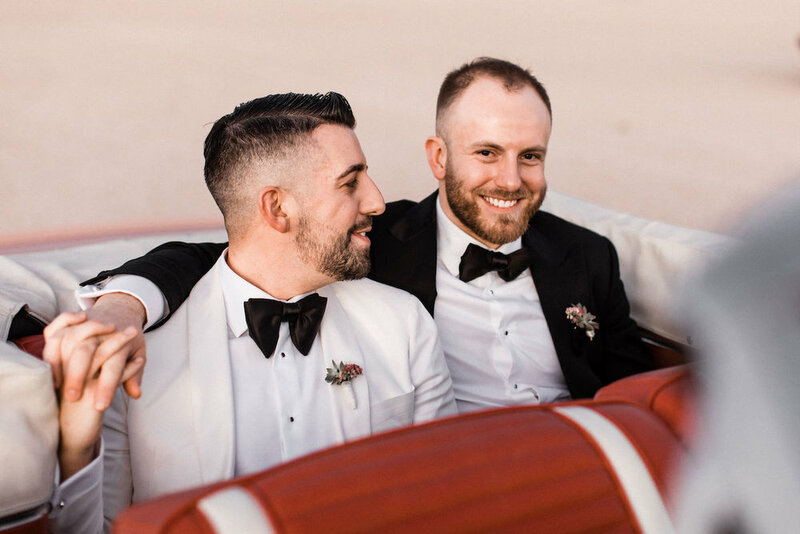 I'll never be half as cool as these two, but luckily I got to tag along on their wedding day and pretend we are now best friends forever.